Helping people to help others in their GROWTH. GROWTH has many facets – Among others, Growth in Leadership, Social network, Personality, and of course Income capability. In a word, towards being a CHAMP in where you stand. By helping others, we bring goodness to this world. With the power of Mentorship an duplication, our efforts will create a geometric & exponential growth effect. 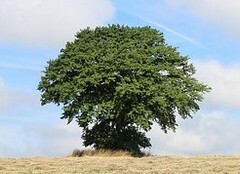 What may be a huge tree, its in fact made of branches and leaves that are duplicated many many times over.